I’ll be at the Nagoya tournament on Wednesday 11th July. Photos may be available later that day for online sale via my portfolio within hours of the tournament finishing that day (6pm local time). However, exclusive rights can be purchased, and photos can be delivered raw during the event if you contact me as soon as possible. NHK World News Podcast has last night reported that the hosting of the 2026 Asian Games has been awarded to the only applicant, Nagoya and Aichi. The two governments, city and prefectural, have submitted a joint application. Yay us! 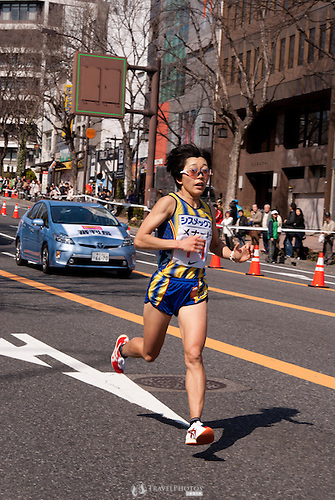 Japan’s Olympic medalist Mizuki Noguchi in the 2012 Nagoya Women’s Marathon. Since I’m based in Nagoya & Aichi, I have a large library of Nagoya photos here, http://ablyth.photoshelter.com/. The Tokoname 70.3 Ironman comp is on tomorrow (Sunday). I love shooting this event. It’s so great to see so many people put in so much effort in this gruelling race. The real winners are not just the ones who get a podium, but those who try, and those who make it to the finish line. I’ve got all my lenses cleaned, and batteries charged, I hope the competitors do, too. Good luck to everyone tomorrow. South Africa’s Rene Kalmer (in red) led the field for the first half of the race. 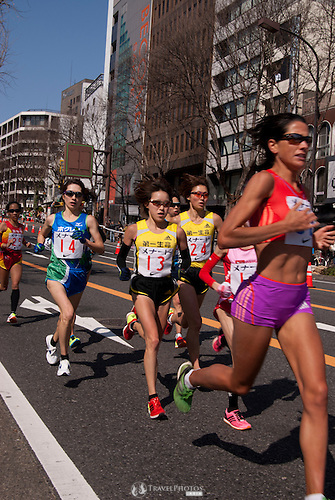 Japan’s Yoshimi Ozaki (number 13) came second in the Nagoya Women’s Marathon, 11th March 2012. Twenty-eight year old Mongolian Kakuryu (born Mangaljalav Anand; Wikipedia) becomes the fourth Mongolian to win the Emperor’s Cup, after Asashoryu, Hakuho, and Harumafuji. It was also announced that he is to be promoted to be one of three top-ranked wrestlers called “Yokuzuna”. This photo is currently available for immediate purchase or licensing from my Sumo Gallery. It has been an exciting tournament, the two current top-ranked wrestlers, Hakuho and Harumafuji have struggled a little of late, Kotooshu crashed out and retired, and then this upset. It’s been great. 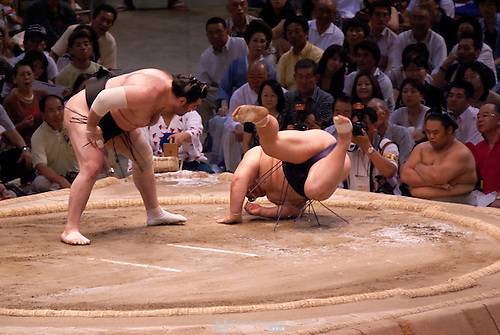 Kakuryu (left) faces Takayasu (unseen) in the Osaka Spring Grand Sumo Tournament in the Osaka Prefectural Gymnasium. Photo taken on Monday 17th March. The Nagoya Women’s Marathon will be on this Sunday, 9th March. At time of writing I don’t have any specific news about it, but I suspect that it will have all of Japan’s top women competing, and tens of thousands of women, and hundreds (or thousands) of men, too. In previous years it has been an Olympic qualifying event attracting various internarion runners (previous blog posts, 2012 and 2013, blog tag ‘marathon‘). For these photos see my PhotoShelter portfolio and my agent’s website. I will probably attend the event, so new photos may be added. Good luck to the competitors, and best wishes to all the runners entering. For everyone else, on Sunday I’ll be on Twitter/JapanesePhotos. That’s right, the Tokyo Winter Tournament starts it’s fifteen day run from Sunday. Tickets are available from web vendors like this one (no affiliation), and you can view it online on your very own computer from morning to 6pm Tokyo time, Watch Sumo Online. The cheapest tickets are about ¥1,000 (USD$10; far back, up in the rafters), and the most expensive are the tiny box seats from about about ¥40,000 (USD$400). This year, it may be the year Hakuho loses his dominance, and a whole new generation may displace my long-time favourites. It should be an exciting year. See my sports gallery for sumo photos, and my agent’s website. Also, I do have a sumo photo video. In the middle two weeks of this month is the Nagoya Grand Sumo Summer Tournament (or something of that approximation of words). Anyway, it’s in Nagoya, it’s sumo, it’s summer, it’s a tournament, and it’s grand. This Photo of the Week is from a past Nagoya sumo tournament. Currently, all the sumo stables are here in Nagoya and surrounds staying at temples, shrines, and other places, and doing their practice sessions early in the morning at training rings that are also at shrines, temples, and even public schools. For more sumo photos, including training sessions and real bouts, see my PhotoShelter portfolio. Also, today marks the official start of the Mt Fuji climbing season. The climb up the mountain is usually crammed with about 10,000 people scrambling, usually at night for the sunrise view, but in bumper to bumper conditions. Now Mt Fuji is to be World Heritage listed, it’s bound to be insane. It’s really admirable seeing people of all shapes and sizes, and men and women as old as 70 and 80. It’s great to hear the announcement that an 80 year old has just come in first in his age category. It really moves you to think that people can swim a few kilometers, cycle 90, and run about another 20km (70.3 miles in total). Congratulations to Chris McCormack who was the overall winner, and to all other winners for their categories. A special thanks to Lixil and all the sponsors who help make this brilliant event possible, and to the great crew of photographers I had the pleasure to work with on the day. I have been soooo busy that I thought I should share something. In a few weeks I’ll be photographing at the Tokoname Ironman event, yes, the official Ironman event, the very same one that counts as an Olympic qualifier. Usually, this event is held in September, but that’s too late for the Olympics. Sorry, I can’t do photos of the event, as I’m already supplying to someone else on that day. Below is another Olympic qualifier, the Nagoya Women’s Marathon that was held in winter earlier this year. South Africa’s Rene Kalmer (in red) led the field for the first half of the race. Japan’s Yoshimi Ozaki (number 13) came second in the Nagoya Women’s Marathon, qualifying her for the London 2012 Olympics. Yukiko Akaba (#14), Misaki Katsumata (#24), and Yoko Miyauchi (#25) also pictured. They crash, they fall, the slide, they roll, but they don’t bounce! Comments welcome.